What's Poppin' Tonight! 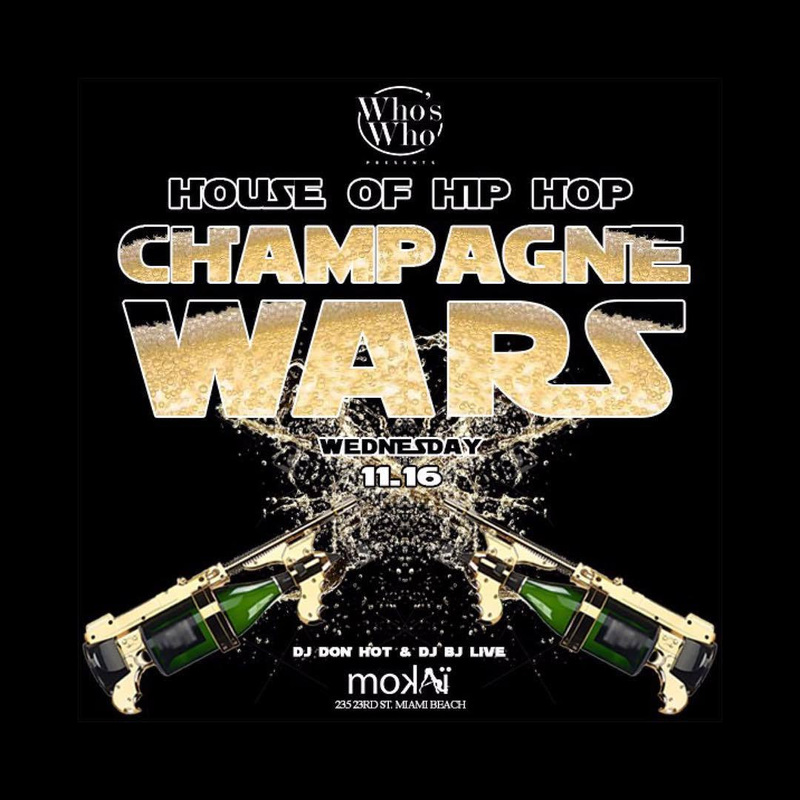 #MokaiWednesdays The #HouseOfHipHop Every Wednesday at Mokai Lounge #MokaiMiami #ChampagneWars ~ Phresh Hott New! Tonight! Enter the #HouseOfHipHip tonight at Mokai Lounge. The #1 Party in Miami #MokaiWednesdays Bottle Wars - Moet, PJ and Domp P specials all night. Featuring a champagne wet t-shirt contest!